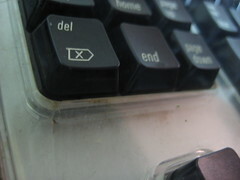 Many geeks have tried this brave, but abrasive, method for cleaning a soiled keyboard. 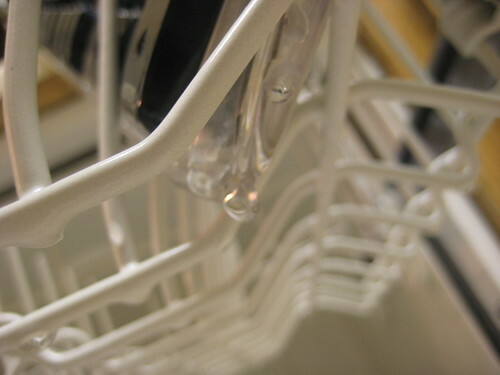 In most cases, it actually works, and its kind of a the home remedy way of fixing my kind of problem. Since Pro Keyboards are so affordable, I wondered what the harm would be in giving the dishwasher a try. Before that, though, I let the coffee and keyboard dry. After a few days, I tried the keyboard and found the spacebar and several of the the middle (F, G, H, etc.) keys – ground zero during the coffee spill – refused to register on my iMac. 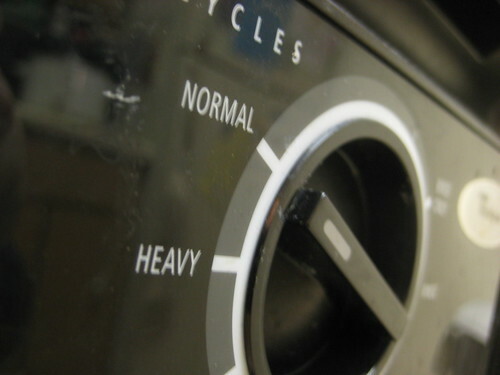 Learning that soap and heat are bad, I set my dishwasher to its normal setting with no heat drying cycle. 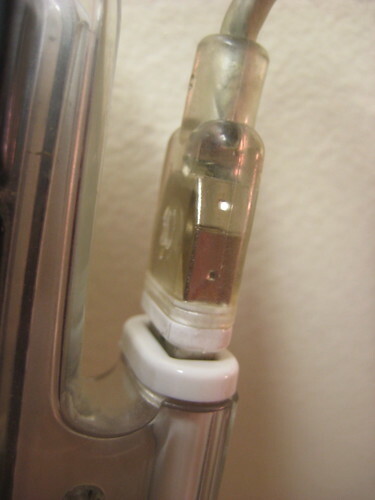 I also plugged up my most-used USB port with the keyboards USB cord to protect it from moisture. The port, after all, hadn’t suffered any spillage. 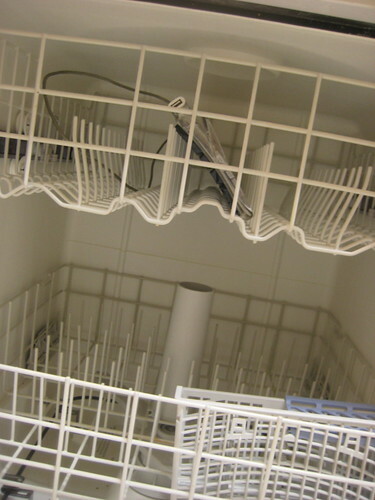 Then I placed the keyboard in the top rack of the dishwasher. 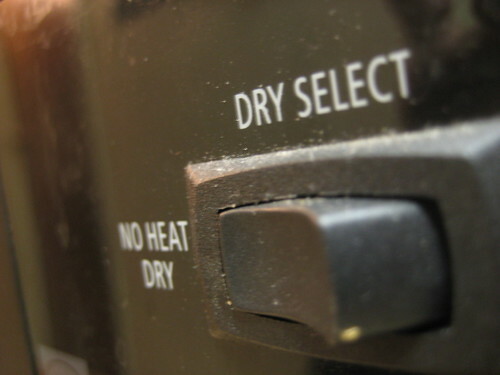 Making sure the “No Heat Dry” option was engaged, I started the dishwasher and hoped for the best. I will say that the entire project made me nervous. I kept reading about rust and washed keyboards puttering out. The whole idea, in fact, seemed counter-intuitive. Water? In an electronic input device? Madness. Whatever. For a $5 keyboard, the fun is in the doing. 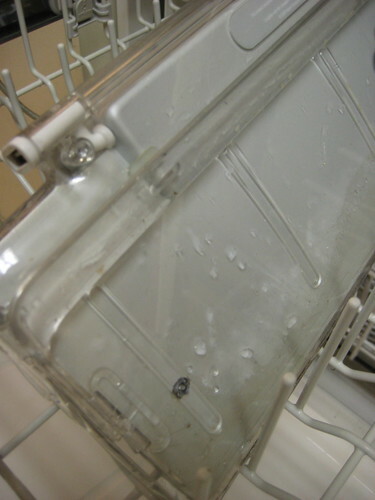 After the Rinse cycle finished, I fished the keyboard out of the dishwasher and drained the water from the clear plastic shell. This took a few shakes and shimmies. 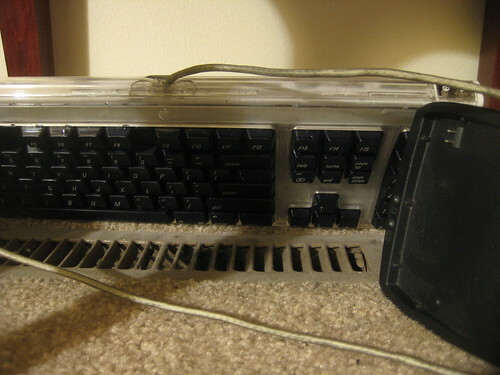 Looking at the under compartment, the keyboard didn’t seem all that much cleaner. I could still see bits of dirt, grime, and crumbs (not mine!) left in the casing. The keys, however, were immaculate. And I couldn’t find any leftover coffee inside the keyboard. Air drying, with a bit of help from my heat register (which runs constantly during January in Michigan). 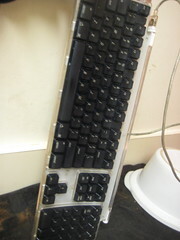 I also propped up the keyboard with a Newton MP110 charging station to let any excess moisture drip out from the bottom. 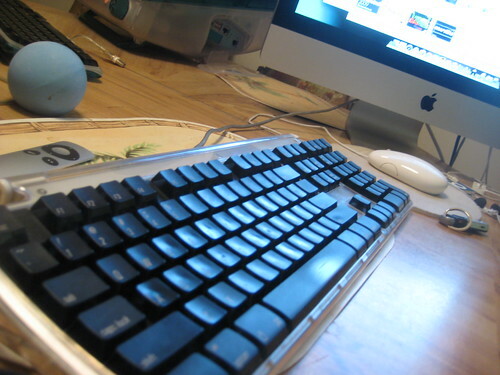 I gave it a few days of drying, and ordered another Pro Keyboard model on eBay – just in case. And after plugging it back in? It works! In fact, I’m typing on it now. Now, for how long is anyone’s guess. But the point is that after a run-through with the dishwasher, my keyboard is in fine working shape. It didn’t get completely clean, but the side I see every day sure did. And that’s clean enough for me. Posted by David Kendal on April 24th, 2010.